4 Alarm Cheddar - Zuercher & Co.
Four Alarm Cheddar is made from a young Milton cheddar blended dried chiles, jalapeno, chipotle, and ghost peppers. The young creamy cheddar acts a vehicle for the spiciness of the peppers, which can range from moderately hot to mouth burning, depending on the distribution of peppers in the bite. 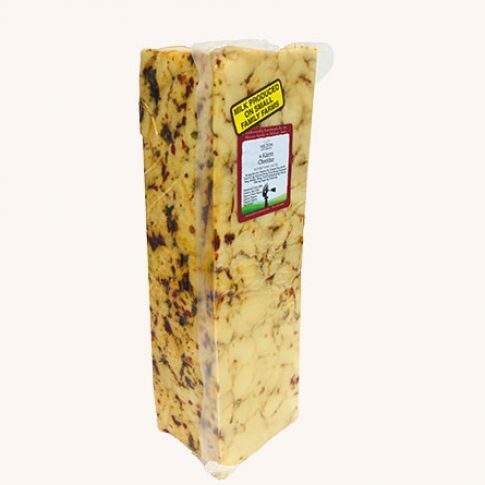 This cheese can work in a variety of cooking applications, or as a table cheese for spicy food aficionados.